This kit contains the Responding to Emergencies: Comprehensive First Aid/CPR/AED Instructor's Manual, Textbook and DVD. This kit contains the Responding to Emergencies: Comprehensive First Aid/CPR/AED Instructor's Manual, Textbook and DVD. The Responding to Emergencies: Comprehensive First Aid/CPR/AED program is a semester-long program designed to help students recognize and respond to cardiac, breathing and first aid emergencies and is an ideal curriculum in Health and Kinesiology department curriculum at secondary school, college and university settings. The courses in this program teach the knowledge and skills needed to give immediate care to an injured or ill person and to decide whether advanced medical care is needed. 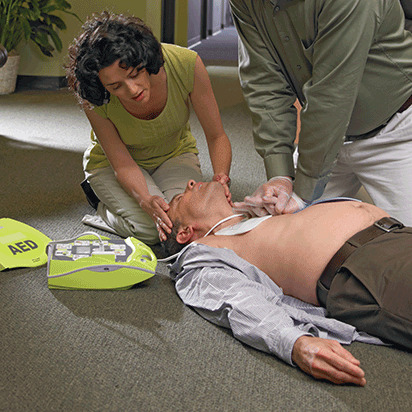 The care steps in the program are consistent with the 2015 International Liaison Committee on Resuscitation (ILCOR) Consensus on Science, Treatment Recommendations for CPR and Emergency Cardiovascular Care (ECC), and the 2015 American Heart Association and American Red Cross Guidelines for CPR and First Aid. Responding to Emergencies Deluxe Instructors Kit is rated 5.0 out of 5 by 1. Rated 5 out of 5 by netter from Much more organized I feel like it is so much more user friendly and doesn't jump around on the materials as the prior curriculum.